Is living healthier one of your resolutions for 2018? Living healthier has always been one of my resolutions, but it has never been a clear cut one, especially since I think we can always strive to be healthier both physically and mentally. As someone who is also trying to constantly learn, I have been intrigued with various cultures and their own natural medicines, especially Indian and Chinese medicine. Since I know so little about Chinese medicine, I was curious when I found a new book that seemed helpful for living healthier in 2018 – Nutritional Healing with Chinese Medicine: + 175 Recipes for Optimal Health by Ellen Goldsmith. After finding out I would have a chance to review this new book, I couldn’t wait for it to arrive and learn more about how Chinese medicine could be incorporated into my nutritional plan for 2018. Nutritional Healing with Chinese Medicine: What is It? When I first opened Chinese Medicine: + 175 Recipes for Optimal Health, I will freely admit, I was a bit nervous what I was getting into with the book. What I wasn’t expecting was a very down to Earth, practical book. I actually enjoyed reading this book and looking over the various recipes that look downright delicious. This book’s focus isn’t a diet, but a lifestyle change, learning to eat certain foods based on your conditions, activities, and your own nutritional needs. Honestly, after this book, I went from being nervous eating healthier to being excited after seeing so many of these easy to make, yummy recipes that are great for busy people like us. 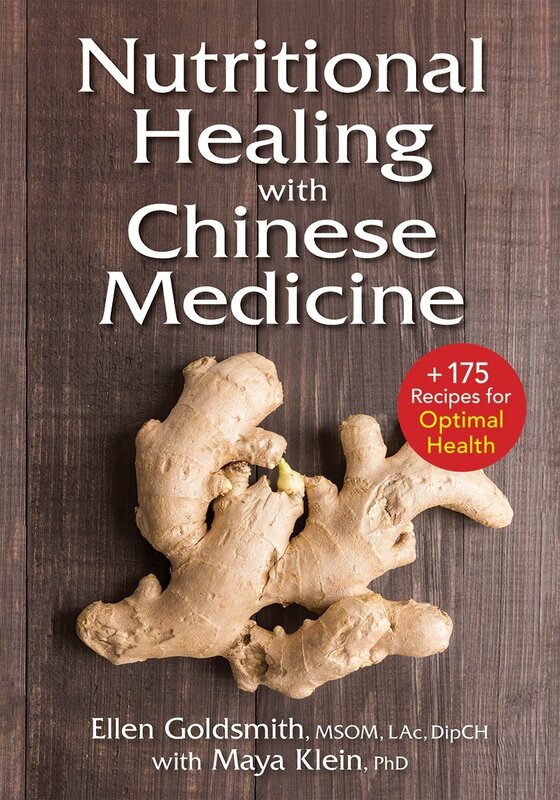 If you are wanting to be healthier, I highly recommend picking up Chinese Medicine: + 175 Recipes for Optimal Health. Nutritional Healing with Chinese Medicine: Where to Purchase? Want to purchase this for yourself? You can buy Nutritional Healing with Chinese Medicine: + 175 Recipes for Optimal Health by Ellen Goldsmith on Amazon.com for only $16.34. Also, don’t forget – you get free shipping if you are a Prime Member (or on a trial) so make sure to get this book today to start your new year off right! I’ve heard so many different ways the Chinese heal. I find them very interesting. This should be a great read. I’m in the middle of some tough stuff right now. This is something to consider. I like to have this book to read more about Chinese healing. My hubby tried some years ago for his pancreas sever pain that he was going through. He was really sick and weak. We went to downtown Los Angeles. This store sold us some tea that really helped him have energy and no pain. I’m always interested in learning alternative ways to improve health. This is very interesting. I really want this book. I’m already a fan of ginger, turmeric, honey etc. Indian medicinal is something to look into too. They have great natural medicines. I like looking to more natural healing versus western meds. I’m lucky that my doctor is open to it also. I’ve heard of the Chinese healing powers. I’d love to read this awesome information. There are SO many amazing cures and healing options out there!! Alternative medicine has always really peaked my interest!! Must check this book out! This book sounds interesting. I think I would like to learn about this instead of taking so many pills. I’ve always been interested in natural and Chinese remedies but never knew where to start. This seems like a good beginning. Okay, so now I want to look more into this. I am into natural healing and definitely is up my alley. I have seen some articles about Chinese medicine, and their health insurance often pays for some of these alternative style concepts. I’d like to read this, as it if very interesting. This is so interesting. I need to try it as I have been sick for a long time. This sounds interesting.I would love to read this. I am a firm believer there are many natural substances we arent utilizing due to big pharma. This sounds like an interesting read! We are very natural in our nutritional and medicinal mindset, so I think this would be a good thing for my hubby and I to read. This looks like an interesting read. I will definitely check this book out. Thank you for sharing.